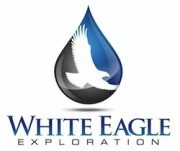 White Eagle Exploration, Inc. is a Denver-based energy corporation actively engaged in the exploration and development of oil and natural gas. Privately owned and founded in 1974, this company has historically focused its activities in the Rocky Mountain and the northern Mid-continent regions. White Eagle Exploration provides development of joint venture relationships, regional play and local prospect generation and strategic planning services to the upstream oil and gas industry.